Discover the Exciting World of Foods from Spain! Foods from Spain is pleased to invite you to an exclusive Olive Oil seminar and tasting. During this event you will taste a wide range of olive oil varietals from Spain. This is an incredible opportunity to learn about Spain’s extraordinary olive oils, their properties and the best way to use them in the kitchen. The largest producer of olive oil in the world, Spain boasts also the most varied range of olive varieties, making for the most diverse selection of olive oils. 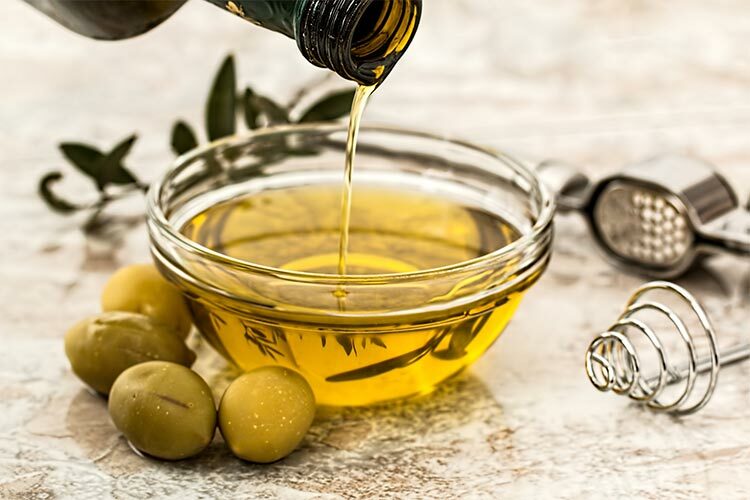 Experts Chef Firo Vázquez and Jeffrey Shaw will explain how to identify and taste this liquid gold and find your way around Spain’s olive oil universe. Chef Firo Vázquez irradiates positive energy his restaurant El Olivar de Moratalla, tucked away in the mountains of Murcia, Spain, translates as “The Olive Grove”, and is an indication of Vázquez’s confessed passion – the extra virgin olive oil that is produced from the fruit of the surrounding olive groves, a product to which he is fiercely committed. In this dedicated seminar Firo will explain how to make the best use of the different olive oils that Spain produces and how anyone can do it now with the help of the new free app he has developed: Gastroleum. Into both niche and mass markets. Shaw will give us an overview of the olive oil industry in Spain, the production techniques, and the different resulting products, as well as the olive varietals and the different qualities that they introduce.